We have made some serious progress this weekend towards the trip. Rather than just mental plotting we actually did something! We decided to launch an expedition into the deepest recesses of our stored ‘stuff’. These are the boxes (and a couple of trunks) that used to be in the attic of our family home. When we moved into the apartment, they simply came with us – unopened. We had a vague idea that our camping gear lurked somewhere within. The expedition required a ladder, a strong man (the Husband), and a contortionist (me). My original ‘traveling’ backpack, the tents, and other camping gear were unearthed, and unfortunately, they had not faired well … or was it our memories that were rose tinted. My backpack had become separated from its waterproofing; little plastic bubbles and wrinkles had appeared. However, once I added up its age and unfaltering service, I had to admit that it was due for retirement – it went in the bin. The tents were also ruled unfit for purpose – the small 2 man was VERY small for prolonged use and was also looking worse for wear; and the larger 3 man, although still in good nick having been purchased more recently than the other equipment, was very heavy by today’s standards. So we spent a happy morning putting up our old tents in Albert Park in order to photograph them for sale. There were several concerned onlookers who obviously thought we intended to sleep there! Other bits and pieces were sorted between the ‘Trademe’, ‘bin’ and ‘keep’ piles and when all was complete, and the giggling had subsided (we unearthed some supercool headbands and mirror sunglasses), the ‘keep’ pile was meager. It looks as if we will be doing quite a bit of shopping before ‘The Trip’. We will also need to do some ‘breaking in’ of the new equipment before we go, to gather some mud and battle scars. We don’t want to get that ‘inexperienced traveler with too much money’ look that you often see with older people. It looks like they just bought the whole of Kathmandu and unwrapped it yesterday. Although, having just gone through this experience, I have more sympathy for these folk. I can see that people who re-embrace traveling have two options: you can use your old equipment, get wet and look like you’ve time traveled from the 80s; or buy a bunch of new stuff and look like a ‘straight out of the packet’ newbie. The second option seems preferably as your equipment is likely to be more comfortable, lighter and will keep you dry. There is also the fabulous pleasure of being able to afford all the good stuff you’ve always wanted but never been able to afford before … we are an adventure equipment retailer’s dream! 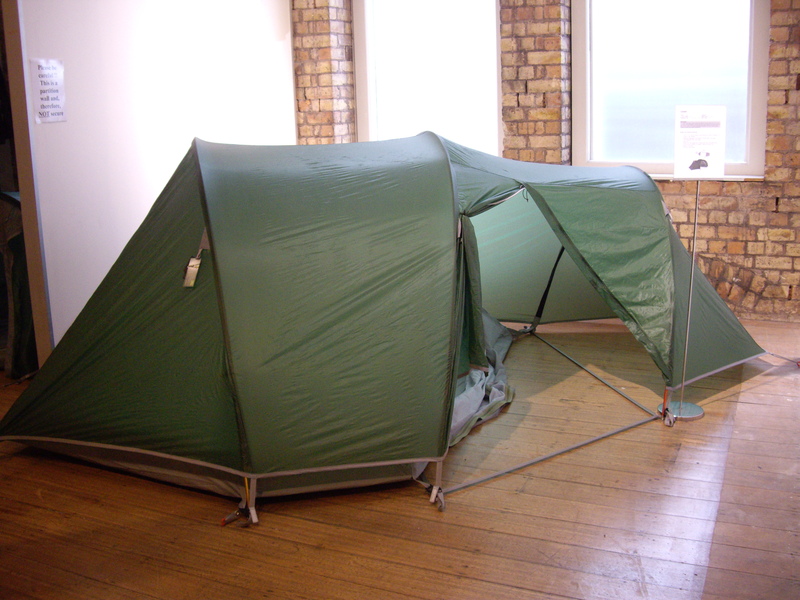 I had done a bit of research and created a ‘features of a perfect tent’ list, which included: 3 man capacity, providing enough room to avoid divorce; good sized vestibule for bikes, luggage and indoor/outdoor flow in case of persistent rain; no garish colours; dual access, so the Husband doesn’t tread on me; and light weight (that bit is for Him … as he’ll be carrying it). With the Husband being a ‘let’s buy it’ type combining with a 25% off sale at Mac Pac, purchase was swift and we are now the proud owners of a Mac Pac Citadel tent. It has already had a dry run in the living room (which was extremely challenging from a spacial perspective as the poles were longer than the room!) and all members of the family thoroughly approve. I think we’re ready for the real thing … bring on the mud! 08.01.17It’s all about the people you meet! It’s all about the people you meet!